Sometimes the original is the best. Afraid Mike "THe Shark Man" Rutzen got my last one. Send a note if you would like this original to come back and with enough requests we'll put it back into production. Sometimes the original is the best. 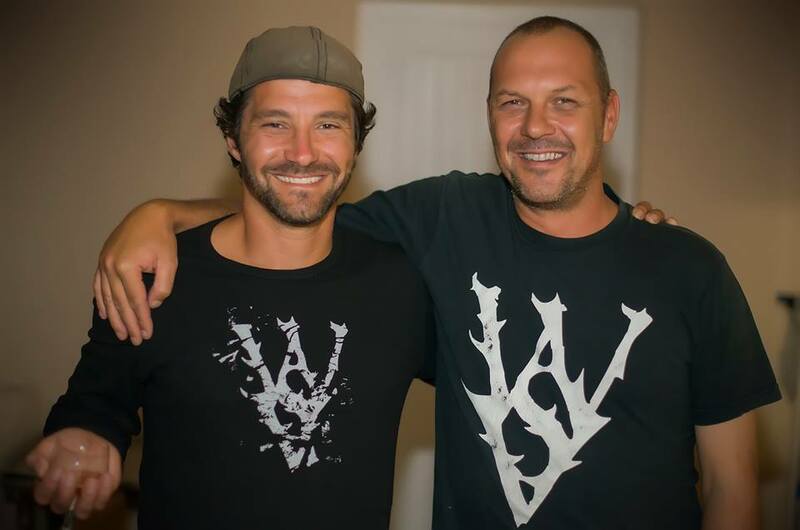 The most popular WSV shirt to date, the design interweaves the letters W, S, and V while adding some "toothy" elements. The back of the shirt simple say "whitesharkvideo.com"
​We've stopped production on this shirt. If you REALLY think this shirt should be brought back send us a note. We'll keep track of requests and possibly go back into production based on that information. For those of you who like dry humor. "Sharks don't kill people, I kill people." 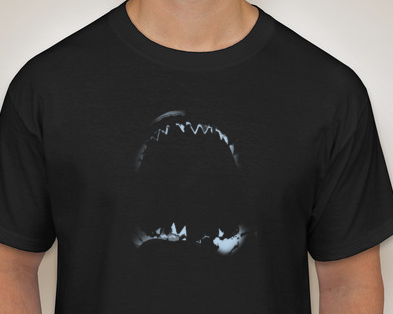 A third version of the Jaws on front. "Sharks don't kill people, I kill people" on back. This is the first shirt I made with a Jaws design. The back says "Sharks don't kill people, people do". Large Jaws on front declaring the shark as good. Human skull on back declared as evil.